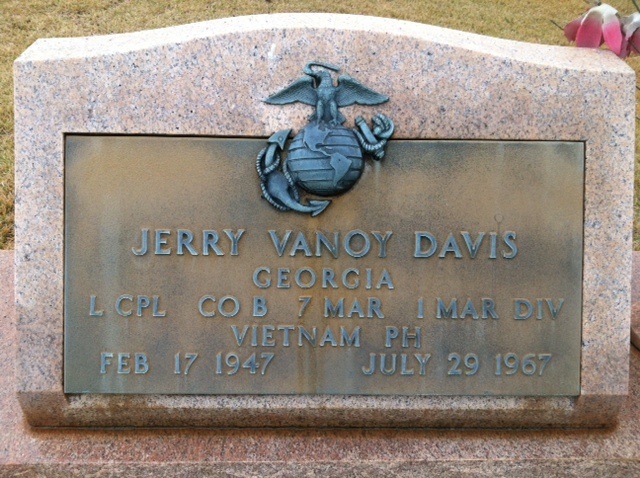 One of the first FiAG requests I fulfilled was to photograph the grave of Lance Corporal Jerry Vanoid Davis. I didn’t know his family personally. All I knew was that he was from Tucker (where I now live) and that he was killed in action during the Vietnam War. Jerry is buried in Melwood Cemetery in Stone Mountain, Ga. I’d never been to Melwood before, although I have passed it many times. I was a little nervous because big cemeteries can intimidate me. Many are owned/managed by people who don’t like FiAG photo volunteers. They think we take up their time by asking for their help to locate graves. Some of the corporate chains have policies in which FiAG volunteers are asked to leave unless they have written permission from the family to take a picture of the grave. 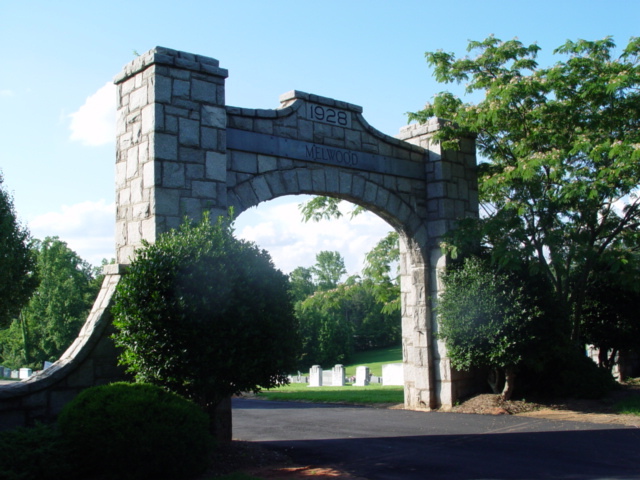 Melwood Cemetery in Stone Mountain, Ga. In a way, that reputation can be valid. From what I have heard, sometimes a FiAG volunteer will walk into a cemetery office with a long list of names, expecting someone to drop whatever they’re doing and help the volunteer locate graves. That isn’t right and it shouldn’t happen. But I think most of us are respectful of others’ time and try to avoid making their work more difficult. Fortunately, while Melwood is indeed large, it is still locally owned, not bought out by a large chain (yet). The ladies in the office were more than happy to locate Jerry’s grave for me and one of them even drove over to it (with me following in my car) so I could see exactly where it was. I really appreciated that. The gravestone has his middle name as “Vanoy” but on all records I have seen it is “Vanoid”. 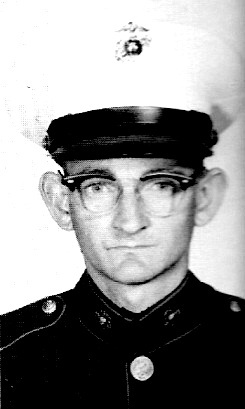 According to Jerry’s FiAG memorial, he wasn’t even 20 yet when he enlisted in March 1966. He chose the United States Marines, a branch of the armed services noted for its toughness of character. Looking at his picture, I wonder what was going through his mind before he left everything he knew behind in a small Georgia town for an uncertain future thousands of miles away. Jerry’s name is listed on the Vietnam Veterans Memorial in Washington, D.C. on Panel 24E, Row 20. After he arrived in Vietnam, Jerry was assigned to Company B, 1st Battalion, 7th Marines, 1st MAR DIV (Rein) FMF. Records indicate he was an antitank assaultman. By looking on Ancestry.com, I discovered that Jerry’s older brother died in 1965. He wasn’t in the military. I don’t know the cause of death. He was only 23. I wonder if he and Jerry played “war” as kids in the backyard. When they got older, did they talk about enlisting together? Or was it Jerry’s dream alone to become a Marine? Ten years ago, Jerry’s story wouldn’t have touched me as deeply. Because now I have a son myself, albeit a very young one. It changes the lens through which you view life. If I knew my son was only going to live to the age of 20 and end up being shot to death halfway around the world, it would tear me to pieces. I think of Jerry’s mother, Martha, as she watched her sons grow from little boys into young men. What did she say when Jerry told her he wanted to enlist? I picture her at his funeral, accepting the flag of our country. Having now lost both of her sons within a two-year period, her heart had to be broken. She died only 10 years after Jerry. I wish I could have met Martha. I would tell her, from one mother to another, that I’m sorry her boys died so young. That Jerry’s death in combat was not in vain, that his life did mean something. He was not just a casualty number on a blackboard. I would also tell her that while few people know Jerry’s story, I do. And I won’t forget it.